Homosassa Springs, FL — Driving across US 19 on Grover Cleveland Boulevard/Halls River Road and Homosassa Trail will not be permitted during reconstruction and paving operations in the median several nights this week and next. Sunday and Monday (April 21 and 22) nights — Homosassa Trail. Traffic will be detoured using other crossroads and north-south roads, mainly to the east of US 19. Through-traffic will be maintained on US 19, but may be reduced to a single lane in each direction. 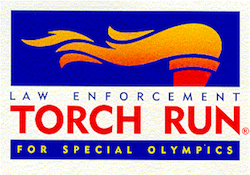 The tradition continues for the annual Florida Law Enforcement Torch Run to benefit the Special Olympics. Sheriff Mike Prendergast will join first responders and Special Olympians for the 2019 Law Enforcement Torch Run at 8 a.m., Friday, April 26 in Crystal River. Each year, this signature event highlights the law enforcement community’s year-round support of Special Olympics. Law enforcement officers from more than 300 agencies around the state carry the “Flame of Hope” throughout Florida, covering hundreds of miles. Every April, the Citrus County Sheriff’s Office takes part in the observance of National Crime Victims’ Rights Week (NCVRW). This dedicated week focuses on how the community, as a whole, can assist victims of crimes and empower those victims to move forward. 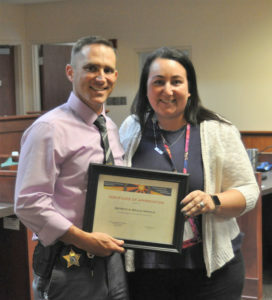 During this year’s ceremony on Arpil 11, the 5th Judicial Circuit of Florida State Attorney’s Office (SAO) presented their 2018 “Above and Beyond” certificate of appreciation to Detective Bruce Arnold of the Citrus County Sheriff’s Office. The certificate is in recognition of his exceptional work on behalf of victims. A massive fire engulfed the roof at the famed Notre Dame cathedral in Paris on Monday afternoon, collapsing the main spire in the blaze. The intense flames leaped out from two of its bell towers minutes before the spire collapsed. A church spokesman told French media that all of Notre Dame cathedral’s frame is burning after the spire collapsed. 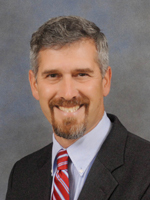 Citrus County Commissioner Jimmie T. Smith, currently District 3 representative, announced today that he will be running for District 5 in the upcoming election. Below is an official announcement from his campaign headquarters. Enter your email address to subscribe to Citrus Times Online and receive notifications of new posts by email.